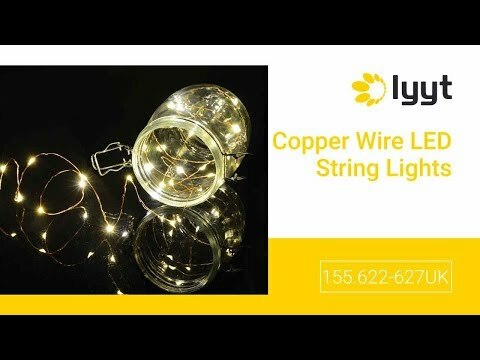 Decorative LED fairy lights on copper wire, providing a romantic atmosphere for your home decoration. Hang in your living room around mirrors, from shelves in your bedroom or place in jars and lanterns inside or out for additional dreamy lighting. A delicate alternative to traditional string lights.